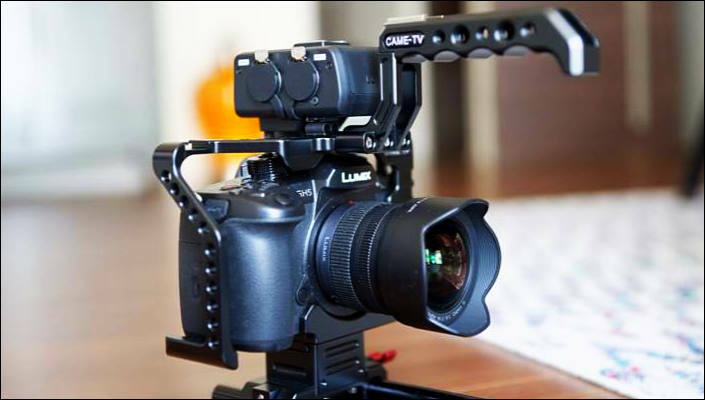 Video quality takes a noticeable step up from the GH4, particularly in 4K modes, thanks to full sensor video capture with oversampling. Additionally, temporal noise, low light performance, and rolling shutter have all been improved. In-body stabilization, and Dual IS 2, make it possible to create very stable footage, even with third party lenses. The only place you really give up any quality is when using the Variable Frame Rate mode in 1080p to shoot fast frame rates (up to 180fps). Resolution appears to drop noticeably, though in exchange you get access to the higher frame rates for extreme slow motion effects. The Panasonic GH5 has a better DR compared to the Olympus Em1 mk2, quite similar with the Sony A6500 (at least in the shadows). One note: in the test, the GH5 DR was measured from ISO 200 (base ISO), the Canon 5D mk4 and the Sony (second image) from ISO 100 cause Dpreview didn't include an ISO 100 for the GH5. From what I've seen, there is no visible difference in highlight recovery between ISO 100 and 200 on the GH5 but noise is one stop better (so the DR at ISO 100 must be even better IMO). 150mbps is actually incredibly small for 4K50/60 footage- the next smallest format from a "serious" camera I can think of is Canon's MJPEG 4K50/60 in the 1DXmkII, at ~500mbps. From there it jumps up to pro/semi-pro formats like ProRes, R3D, DNxHR, etc- which are bigger still. There's no lower bitrate option for 4K50 because 150mbps is already about the bare minimum for 4K50/60 in an h.264 format (at decent quality). If you need to figure out how many cards you need for a full day, just divide your total shooting time by how long each card card gives you. You shouldn't need to do proxy editing if your computer is fast enough. If it isn't, well, that's just the rub for shooting in the latest greatest format (4K at 50fps). Did you really think you could buy the newest awesomest camera, and use an old computer and small hard drives to easily edit its footage? That's like buying a Ferrari and then complaining that the insurance and premium gas is expensive. Hi guys. Try to turn the custom AF OFF and set the focus area to 1-area AF and give it a shot. See how you like it. @Eno... Have you owned Panasonics in this line? The lowest native setting is ISO 200. Not sure if they enabled extended lower ISO but if it's an option the quality and DR would be compromised anyways. I need to do more testing but the AF is not as snappy as my g7 for af-s. I haven't found it to be as terrible as some videos have shown - I found the single area af-c worked ok for me in video mode. Still not as good as A6500 af-c.
Dual IS 1 works with Mark 1 12-35 and 35-100 f2.8 Also it makes the 35-100 IS useable finally! In photo mode you will see jitter in live view but in video mode it is fine and even works well on slider. I'm not getting the weird side to side as in that video review - mine seems fine. I feel like it's both over-hyped and over-hated. It's definitely got some great features and I like using it far more than the g7. I really like the focus rack feature. I've been waiting for years for someone to put that in the camera - seemed like a no brainier to me. I will consider to put more investment on my computer!! Does anyone know of tests demonstrating that using an external recorder (e.g. Atmos Ninja Inferno) improves GH5 autofocus performance? I am amazed that all everyone is "focusing" on is autofocus. This camera offers so much more... its a dream to use. The 10 bit is delicious and the stabilisation is just ridiculous. I've never used autofocus on a paid shoot - ever - and can't imagine I ever will. I think that most people who have complained about the AF have also mentioned that the image quality is very nice. More people will probably be excited about the IQ after the higher bitrate modes are enabled later this year. In the meantime, it doesn't seem all that surprising that people expect a feature (that was hyped by the vendor to be very good) on an expensive camera to perform similarly to the same feature on a much cheaper camera (e.g. 70D). @nobbystylus Let me give you a point of view I grew up when SLR auto focus systems were in there infancy and many a pro would not use them for the same reasons cinematographers don't now. It virtually was the same argument. Those auto focus systems became so good few would choose manual focus over auto focus in the photography world today. 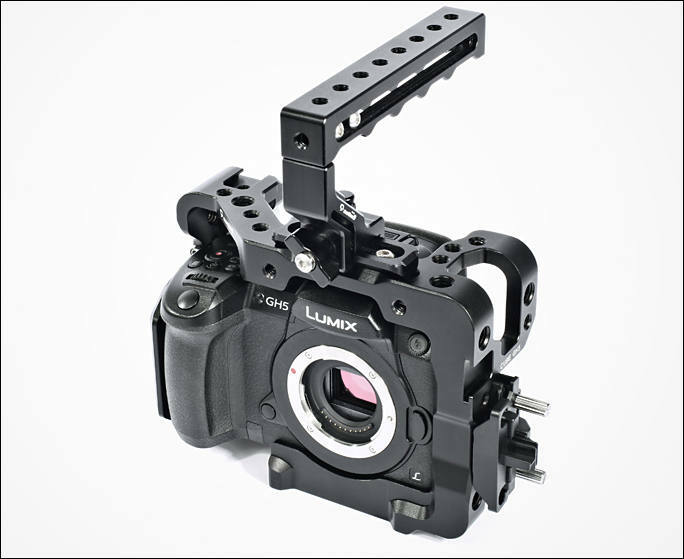 I see that same paradigm shift coming to cinematography so it is in Panasonics best interests to improve. I also use AFS all the time with some buttons settings to control it but CAF is a no go with Panasonic but I hope that changes. I guess they know it's important now after all they don't make manual focus lenses. Has anyone else had trouble getting the gh5 4k mp4's into resolve studio on a PC? @nobbystylus Cinematography or videography? Important distinction, unless you think Arri/Zeiss are going to start manufacturing autofocus lenses for the Alexa successor. Can also get via PV with $9 discount, PM me.